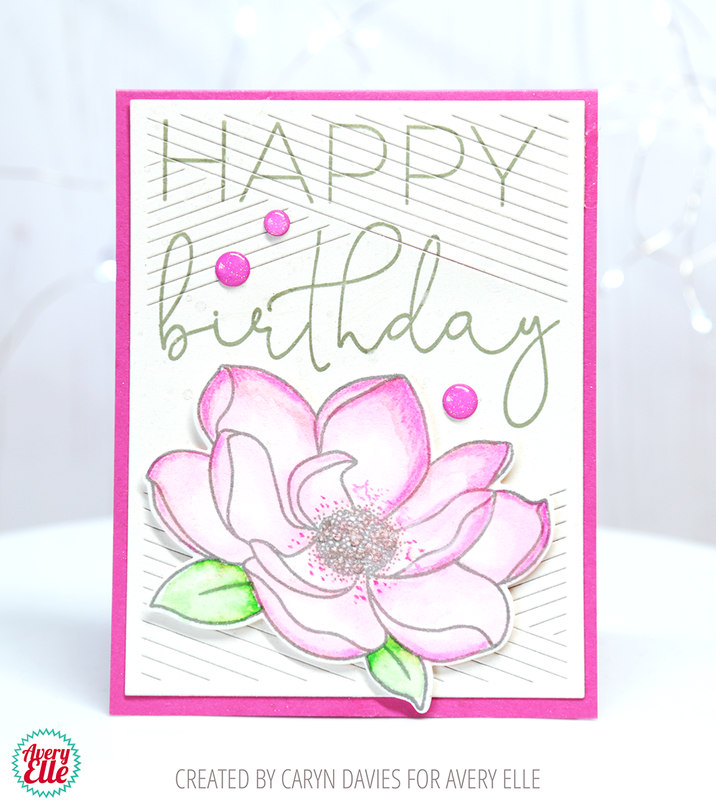 Hey there, Caryn here with a card featuring the Big Birthday stamp set paired together with the large bloom stamp from Magnolia and the Hatch Match Elle-ments. I started with a magenta pink card base so that my I had a frame to pop the die cut background panel gainst. I love the subtle texture you get with this die. 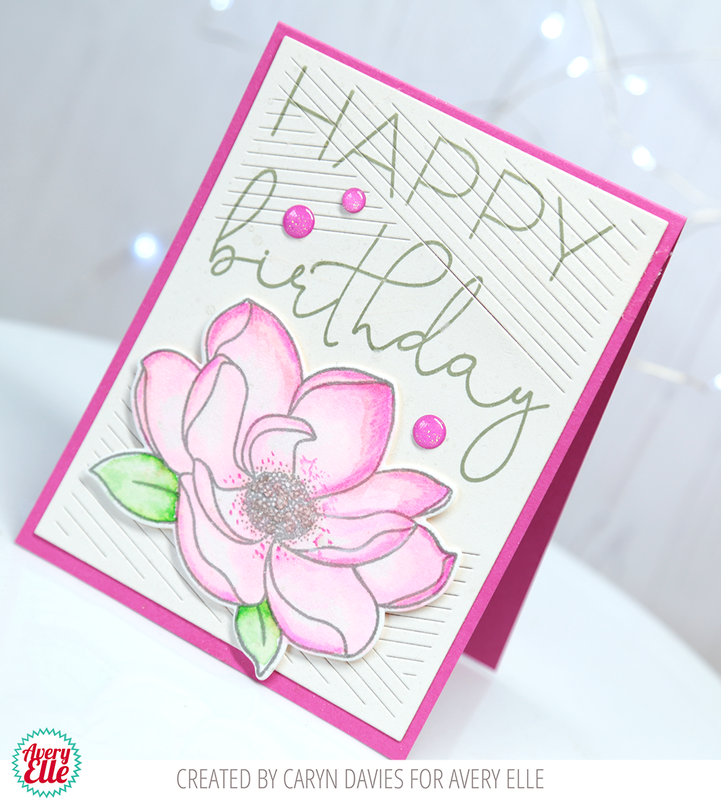 Nest I stamped the Happy Birthday sentiment from Big Birthday in Fog dye ink over the top half of the panel and then stamped and coloured the flower using Fog dye ink and Clean Colour Brush markers. To finish I added a light shimmer spray and a few enamel dots.